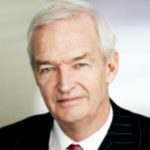 Jon Snow is one of the best known presenter and correspondents on UK television today. He began his career in the mid-seventies with ITN. He rose fast through the profession to become Washington correspondent in the eighties and has since covered the major stories of the era, including the fall of Communism and the Berlin Wall, numerous Presidential elections and many global disasters. He holds numerous awards for journalism, winning three BAFTA and Royal Television Society awards. In addition to his news coverage, he has presented many documentary and in-depth analysis programmes covering a wide range of issues from banking, Bloody Sunday, modern terrorism and the arts. His facilitation of the Channel 4 Scottish Referendum debate was widely considered to be the best of the broadcast discussion on the issue.